Rubén Rosario Rodríguez addresses the long-standing division between Christian theologies that take revelation as their starting point and focus and those that take human culture as theirs. After introducing these two theological streams that originate with Karl Barth and Paul Tillich, respectively, Rosario asserts that they both seek to respond to the Enlightenment's critique and rejection of Christianity. In so doing, they have bought into Enlightenment understandings of human reality and the transcendent. Rosario argues that in order to get beyond the impasse between theologies of the Word and culture, we need a different starting point. He discovers that starting point in two sources: (1) through the work of liberation and contextual theologians on the role of the Holy Spirit, and (2) through a comparative analysis of the teachings on the hiddenness of God from the three “Abrahamic” religions —Judaism, Christianity, and Islam. Rosario offers a strong argument for why this third theological starting point represents not just a marginal or niche position but a genuine alternative to the two traditional theological streams. 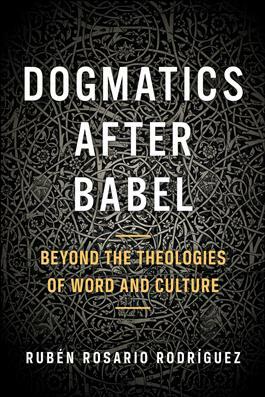 His work will shift readers’ understanding of the options in theological discourse beyond the false alternatives of theologies of the Word and culture.